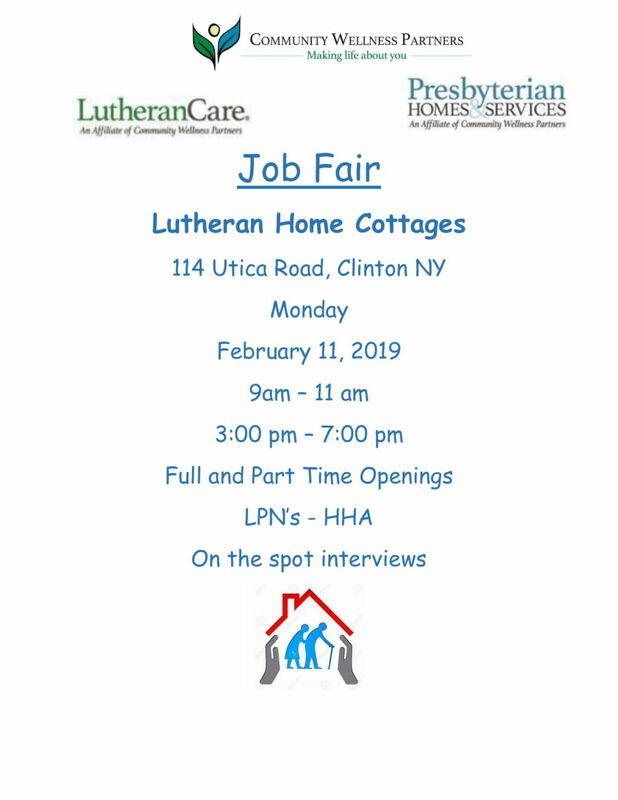 Lutheran Care and Presbyterian Homes and Services will be holding a Job Fair on Monday February 11th from 9 am to 11 am and again from 3 pm to 7pm. They need LPNs and HHAs. Full and Part Time positions available.